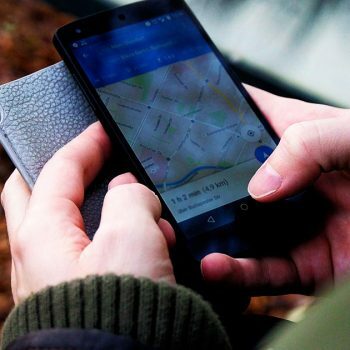 Research has shown consumers read an average of 10 online reviews before feeling able to trust a local business. 91 percent of 18-34 year old consumers trust online reviews as much as personal recommendations. The facts are clear, reviews matter and are a big influence on the customer's decision with regards to who they do business with. But we've all read those lukewarm reviews online - sure they leave a 5 star rating but they feel generic and don't necessarily sway us one way or another. They mention how the company was helpful and the staff/employees were friendly but those things are expected. When was the last time you read a review that really made you feel something one way or another? What did that company or product review have that most other reviews do not? I found the above review doing a random search in a random city. The woman who left the review had the best intentions and she was obviously happy with the work because she left a 5 star review. As a business owner, the only benefit I get from this is another 5 star review to pad my numbers. As a consumer reading reviews for this business, this does nothing for me. "Professional, prompt and accessible" are requirements for what I'm looking for, not the 5 star exception. Wow, as a business owner, which review would you rather have your potential customer's reading? The good news is that you can get reviews like the second review shown above, almost every time you ask for a review, you just need to ask the right questions. 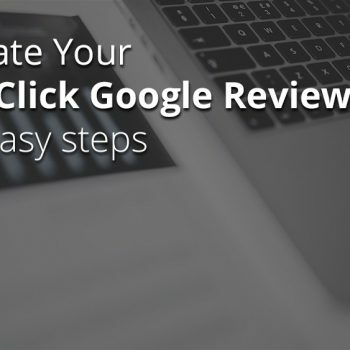 Previously, I wrote a tutorial about how to set up easy Google Review links to boost your Google Review numbers. 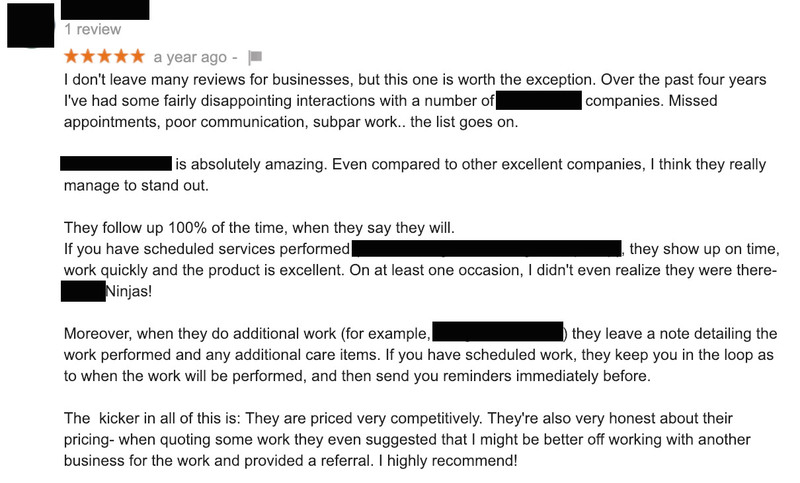 Today I want to cover how you should ask your customers for reviews and testimonials to get the most powerful testimonials possible like we saw in the second screenshot above. Here are 3 questions you can ask happy customers to get amazing testimonials and reviews. What issue were you facing before you bought/joined [our product/service]? This is a great question because it causes the customer to identify the original obstacle they were facing that made them choose to use your product or service in the first place and more importantly, how they felt. This question often elicits an emotional answer which can be powerful. The original obstacle is likely the same obstacle prospective customers or clients are facing right now and the same feelings of frustration or anger associated with that obstacle. This question also helps to set up a powerful before-and-after scenario that shows how your product or service helped the customer move past a pain point they were experiencing. Prospective customers that may also be faced with the same original problem may think "hey that's me, I'm stuck in that spot too!" When they see you're able to help move them past that pain point, it can start to build on that bond of trust. What results do you get/have you gotten from [our product/service]? In contrast to the first question, this question works well because it tends to return hard numbers and facts. While it can also return an emotional response, the main goal here are the tangible numbers that can prove there has been forward movement. It's also important to note that the most powerful testimonials don't promise the world - they promise small, believable results. Keep that in mind when asking this question and try phrasing it around the small wins and and guaranteed results almost all prospective customers or clients can achieve. It's better to under promise and over deliver rather than the other way around. What has using our product/service helped you to achieve? In which areas of your business/life have our services made the most impact? What are the three most significant improvements you’ve seen since you started using product X? What made you hesitate from buying[our product/service] sooner? Why do we as businesses use testimonials in the first place? What's the point? A powerful testimonial preempts objections by raising and addressing these objections within the testimonial itself. By asking the already satisfied customer what their initial fears or hesitations were with using your product or service, you're directly speaking to (and answering) potential customers who are feeling/thinking/wondering the exact same thing. 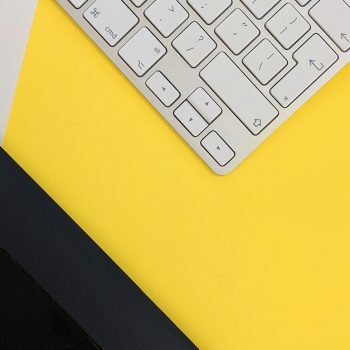 Testimonials and online reviews that can successfully tackle this question are some of the most powerful marketing tools your brand has. A prospect reading that review might say to themselves, "This person had the exact same concerns/obstacle I currently have. Evidently this product/service was effective enough to make them want to write about it. Maybe it's worth a shot!" What issue were you facing before you bought/joined [our product/service]? - Elicit that emotional response describing the initial obstacle or pain point your customer was feeling that potential customers can resonate with. What results do you get/have you gotten from [our product/service]? - Focus on the hard numbers and results that can be proven and shown. Remember - small, guaranteed wins are the focus here. Under promise and over deliver. What made you hesitate from buying[our product/service] sooner? - Preempt objections by raising and addressing these objections within the testimonial itself. Break down the initial fears and doubt and finish with a glowing recommendation of your product/service. Testimonials are a powerful marketing and social-proof tool that dramatically impact potential customer's decision to buy.